At a young age Sabrina Findlay was already set for a future in music. While in her native Singapore age 17 she started performing at live gigs as a singer with a blues band. The break courtesy of encounter an American via the UK jazz guitarist willing to give her a slot, but as it turned out Sabrina was too young to perform. Following a 9 month working stint next door to the venue and many performances later, she moved to the UK, completing A levels in Heddington, learning classical music and jazz piano, forming a jazz band and gigging the music haunts of Oxford. With a mic, backing CD’s and PA system in tow, Sabrina would play Sunday afternoon gigs at restaurants and open mic weekends (when she wasn’t studying). While she can’t pin down a particular genre of influence (thanks to a childhood of rock in Bon Jovi, the motown sounds of Stevie Wonder and the Four Tops and set lists of jazz and soul standards alongside the likes of 90s Britpop acts in Garbage and Blur), Sabrina notes valuing the importance of lyrics and meaning. 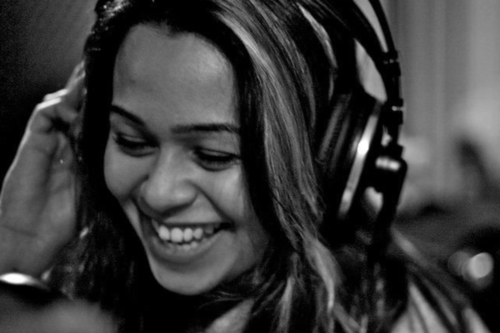 Sabrina got her commercial break between 2011 and 2015 with online founded project AandT (featuring band members Ant, Tyrone and Rob, Saxophonist). As songwriter and vocalist, AandT made funk pop in the style of Jamiroquai and Jill Scott playing alongside the likes of The Drifters, KT Tunstall and Toploader. Citing herself as a poet more than a songwriter, Sabrina has been honing her ability to pair music with poetry while working with dance music producers. See Spotify club playlist regular “Reach Out” with Marcus Pearson, a collaboration with a Barcelonan sample replay producer to produce Lee Walker vs DJ Dion’s “Freak Like Me” or latest release “The Medicine” with Tom Langley, remixed by Vocal Networking DJ’s.